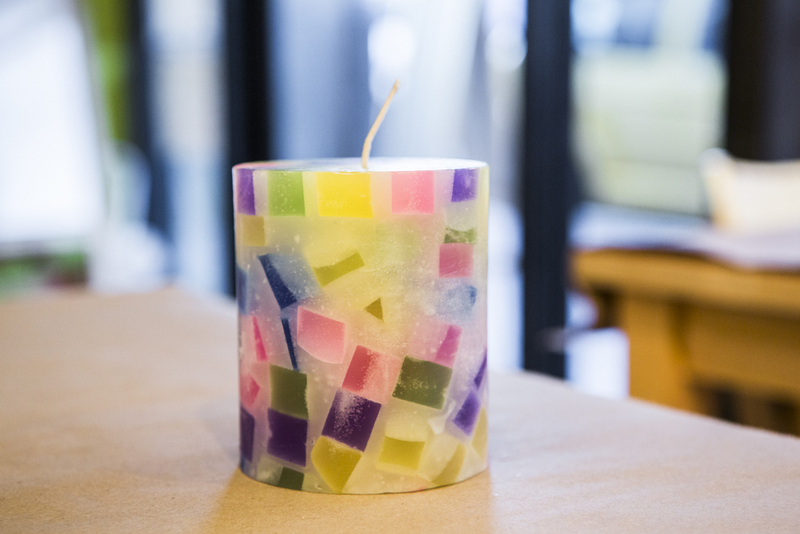 Choose from one of our molds (heart, square, or round) for your candle. Fill your mold with colorful wax cubes. Choose a scent from our fragrance collection or keep it unscented. Scents: Mango, Spa, Cucumber Melon, Sweet Pea, and so many more! Your candle will be ready between 1.5 - 2.5 hours. Give it as a memorable gift or keep it for yourself!